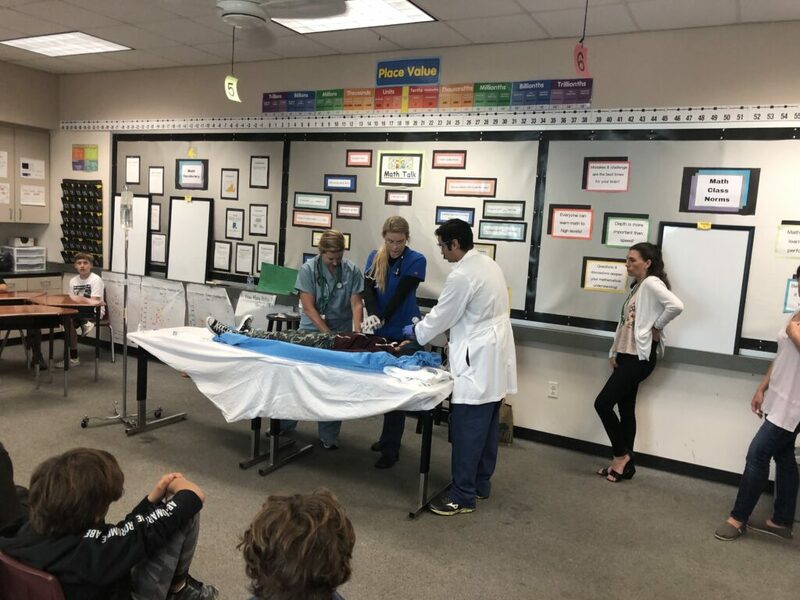 On Tuesday, April 9, Coronado Middle School (CMS) and Coronado SAFE held their annual Drug Store program for 6th grade students from CMS, Sacred Heart and Christ Church Day School. According to Coronado SAFE, they choose 6th grade as a target for the Drug Store program because it is a time before student’s beliefs about drug and alcohol use are solidified. 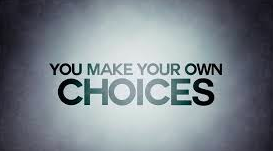 The goal is to provide important information to students as those attitudes are being developed. 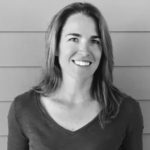 According to SAFE, exposing 6th graders to the dangers associated with drugs and alcohol and the possible outcomes for students is the ideal age. A Coronado Police Officer handcuffs one of the student actors who ‘stole drugs’ as part of the Drug Store simulation. 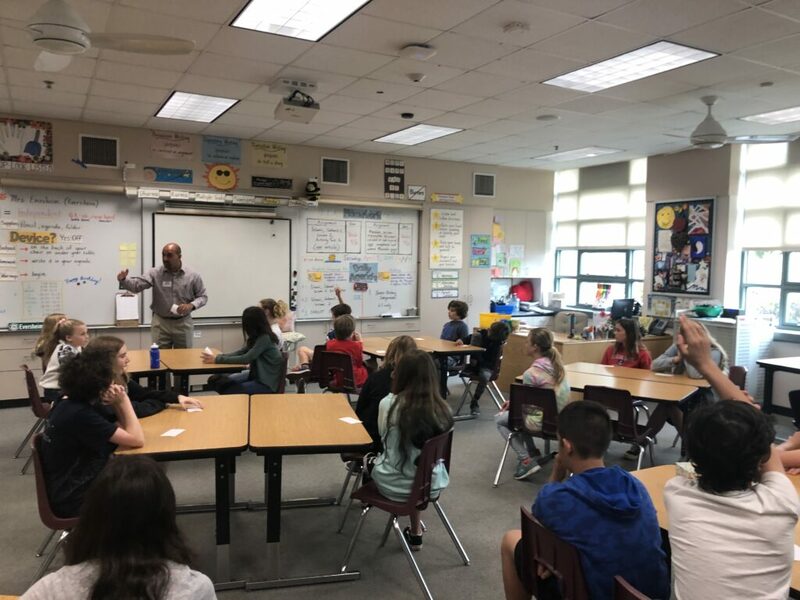 The students were broken up into groups of 40 kids and cycled through stations that provided students with tools to help make good decisions as well as a simulation that demonstrated possible consequences of getting involved with substance abuse. One student in each group (unbeknownst to the rest) was selected to be an actor, playing a child who stole drugs during one of the demonstrations. 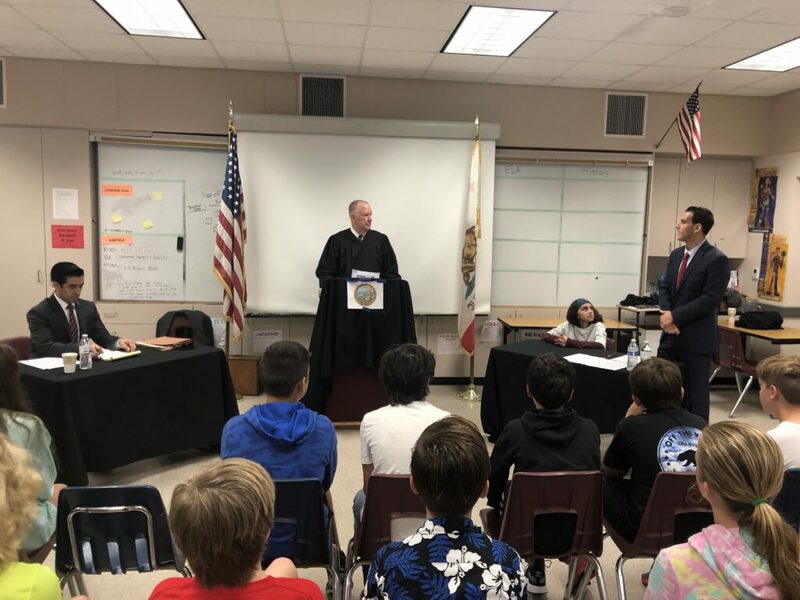 Judge Roger Krauel of the Superior Court of San Diego volunteered his time to preside over the simulated courtroom scene with Deputy District Attorney Ryan Karkenny (right) representing the student offender and Deputy District Attorney Jorge Del Portillo (left) of the Narcotics Division, representing the State. Professionals from the community volunteered their time to try and make the process as realistic as possible. 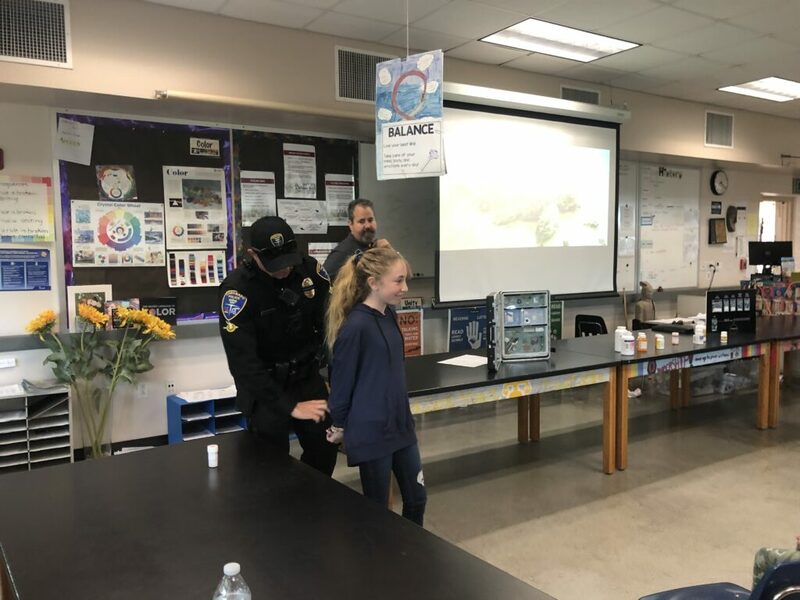 From the local police who ‘arrested’ the student, to the Superior Court judge and prosecutors from the district attorney’s office, to the nurses and EMT professionals, the students witnessed a realistic scenario. “I thought they were going to just lecture at us about what to do or not to do, but instead we got to see the experience and that made it so much more real,” said 6th grade student Jack Harvey after the event concluded. Volunteer nurses and medics simulate CPR on the student actor while her mother looks on, demonstrating what could happen when people make bad choices and experiment with drugs. Pastor John Joseph provides thoughtful counsel to the students as they complete the scenario during Drug Store. The simulation drove home the message as kids witnessed one of their peers (the actor) passing out after experimenting with drugs (tic tacs) and having to be worked on by medics and nurses to try and revive the student. The last part of the simulation was time with Pastor John who let people share their thoughts and feelings and reassured the children that this was a simulation and a way to help them understand how choices can affect their future. High School students Marla Steel and Ellie Johnson participate in the Peer to Peer station of Drug Store. 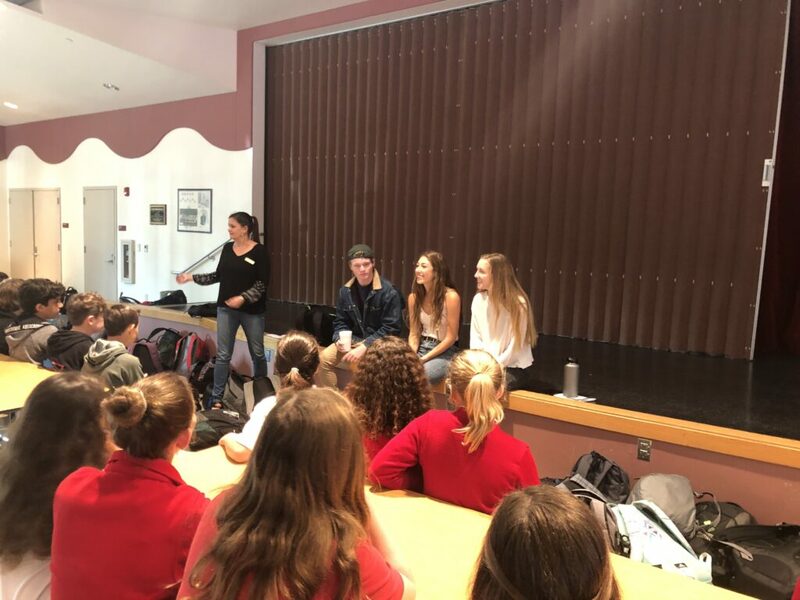 As part of their high school club, Random Acts of Kindness, they volunteered their time to answer questions students had about how to avoid situations that could lead to bad decisions. Students from the high school who had experienced this program for themselves also volunteered to come back and work some of the scenes and stations so the kids can relate better and learn from those who are closer in age. 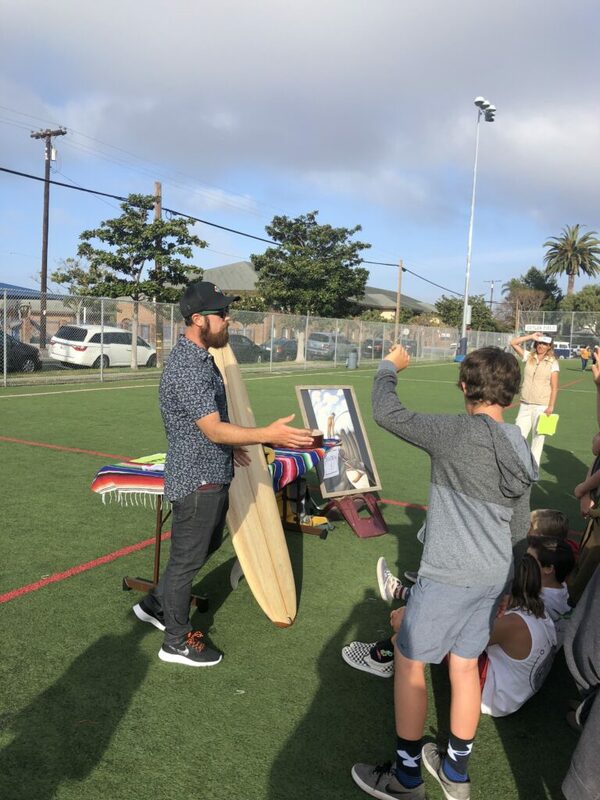 Along with the simulation there were seven stations that ranged from peer to peer discussions led by high school students from the Random Acts of Kindness Club to how to get a natural high through art or physical fitness. New this year was the addition of a pharmacist from Sharp Coronado who discussed effects of drugs on the brain. 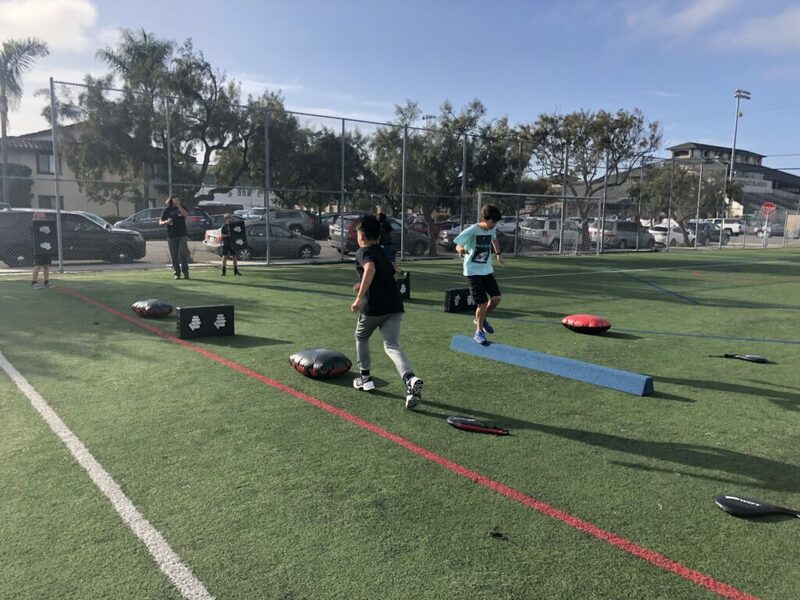 Kids learn how they can get a high from exercise with Sensei Dave.